Zhejiang University of Science and Technology (ZUST) is a multi-disciplinary full-time regular university under the direct guidance of Zhejiang Provincial Government, which focuses on engineering with additional disciplines in arts, management, science, and economics. Founded in 1980, it was initially known as Hangzhou Industrial School Attached to Zhejiang University. Combining the successful school-running experience of German Universities of Applied Sciences(FH) with Chinese Characteristics, ZUST explores to cultivate high quality internationalized talents with innovative spirits and applied skills. 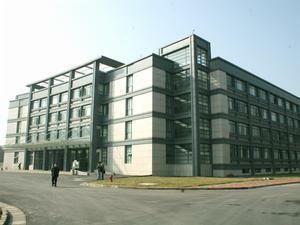 Zhejiang University of Science and Technology has two campuses. Xiaoheshan Campus is situated in the historical and cultural cityâ€”Hangzhou, with planned land area of 112.67 hectares and built-up area of 450,000 square meters. Anji campus, situated in Anji county which won the United Nation Habitat Scroll of Honor Award, has a land area of 33.33 hectares and built-up area of 165,000 square meters. At present the university has 11 schools, 3 teaching centers, 3 First-class disciplines with masterâ€™s degree conferring right, 2 masterâ€™s degree-conferring programs and altogether 50 undergraduate majors with more than 15,600 full-time regular undergraduates and postgraduates and over 1000 foreign students. The total value of teaching and scientific equipment is 242 million yuan; the total volume of books in library (including electronic books) is 1.207 million, and that of e-books is 2.543 million; and it also has 626 kinds of paper journals and 11,000 kinds of e-journals. 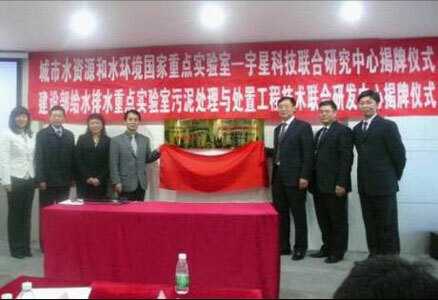 ZUST has been designated as pilot institution of Chinese-German cooperation in the area of application-orientated talent cultivation by the Ministry of Education, and â€œChinese-German Forumâ€� Base construction unit, becoming an important window of cooperation in education, science and technology and cultural exchange between Zhejiang province or even China and Germany; Meanwhile, the university has successfully established international relationships with more than 50 universities in Germany, UK, America, France, etc., and has set up more than 90 programs of various kinds; In March 2014 the university started cooperation with LÃ¼beck University of Applied Sciences and West Coast University of Applied Sciences, Germany for joint development of â€œChinese-German Institute of Applied Engineeringâ€�, which is the first and the only college for international cooperative undergraduate education in Zhejiang Province. 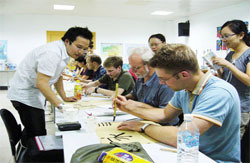 The total number of its foreign students ranks the 6th, and that of foreign students working for certificates comes 4th among colleges and universities all over Zhejiang province; it is also fruitful in the construction of overseas Confucius Institutes, and has cooperatively set up two Confucius Institutes in Romania and Germany. The Confucius Institute in Babes-Bolyai University of Cluj-Napoca of Romania stands out as one of the â€œAdvanced Confucius Institutesâ€�. This university was listed in the first pilot universities involved in Excellent Engineers Education and Training Plan from the Ministry of Education. It has 3 state-level key majors, 4 provincial-level dominant majors in the â€œ12th Five-Year Planâ€�, 10 provincial level newly emerging (international) majors, 9 provincial-level key majors, 7 national level engineering practice centers, 1 national level off-school practice base for undergraduates, 5 provincial-level experimental teaching demonstration centers, and 1 provincial talents training mode experiment and innovation site; 1 state-level second prize for Teaching Achievements in Higher Education has been won. In the past five years ZUST students won over 3300 prizes in various international and domestic disciplinary competitions, including over 50 international awards and more than 880 state-level awards. The initial employment rate of its graduates is maintained at more than 95%, one of the highest in the provincial colleges and universities, gaining itself the honor of â€œModel University with High Graduate Employment Rateâ€� from the Ministry of Education. So far the university has 8 provincial-level key disciplines in the â€œ12th Five-Year Planâ€�, 3 provincial-level key technological innovation teams and 1 provincial university innovation team. In recent five years the university has won over 14 provincial and state-level awards including a second prize of state technological invention award (as the second unit), a second prize of the outstanding achievement award of scientific research from the Ministry of Education for two consecutive years; it has been granted RMB 220 million Yuan of research funding; over 3800 articles have been published, among which more than 800 papers are either indexed by SCI, EI, and ISTP or are authority level research papers in humanities and social sciences; and more than 50 Research and Development institutions have been established cooperatively with enterprises. The university has more than 1200 staff members, 850 full-time teachers, among whom more than 100 are professors, those with masterâ€™s or doctorâ€™s degree account for 80%, and those with experiences of enterprise practice account for over 30%. 4 teachers were approved to receive the State Council special subsidy; 1 was chosen as national level Excellent Teacher; 1 won the honor of Model of Professional Ethics in national education system; 1 was selected into â€œNew Century Excellent Talents Supporting Programâ€� from the Ministry of Education, 1 enrolled for â€œ1000 provincial talents planâ€�, 1 special professor of â€œQianjiang Scholarsâ€�, 1 won the honor of â€œyoung and middle-aged provincial-level experts with outstanding contributionâ€�; 66 as the provincial-level candidates for â€œ151 Talents Programâ€�, 27 as provincial young and middle-aged discipline leaders; 5 as provincial level Outstanding Teachers; 3 as provincial level Excellent University Teachers, 7 as provincial level Distinguished University Teachers; and 3 provincial level teaching teams were established. According to the grand blueprint of the universityâ€™s third CPC Representative Committee, the university will adhere to the motto of â€œVirtue and Truth, Creativity and Practicalityâ€�, strengthen moral education, pursue the dream of the University, and make great strides to develop itself into a distinctive and modern university oriented to application by intensifying reform.